Welcome to Tucker Bush, a new range of Australian native plants with edible fruits, nuts, shoots and roots. I say “new”, but in reality, these plants have been feeding the residents of this country for centuries. Bushfood grows wild all over Australia, naturally adapted to our climate and soil, meaning they need less water and less effort to maintain when grown in similar conditions. All of the plants we offer play a vital role in our ecosystem, with some species under threat from climate change, deforestation, urban development and plain old neglect. Most of the edibles we grow in our gardens today were originally imported from overseas, pushing native bush tucker out to the fringes of society. With your help, along with a network of communities around the country, we aim to introduce a truly Australian flavour to the modern suburban home and garden. Remaining plants from our first release are currently available in selected nurseries around WA. Following recent trials with new species, we’re expecting a second release with even more plants by Autumn 2017. We plan to do a pre-release of some of our trial plants and new varieties to our loyal W.A customers so stay tuned. 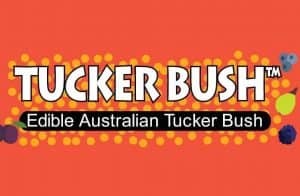 Finally, we’re excited to bring you our new Tucker Bush website. We love your feedback, so please let us know what you think. All our subscribers will receive monthly updates with new plant releases, recipes, and what our team has been up to behind the scenes.